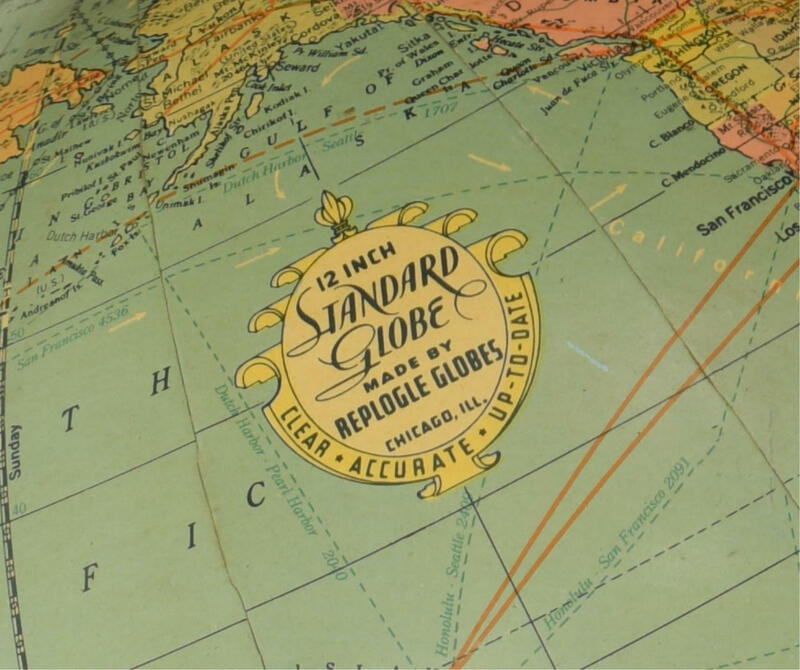 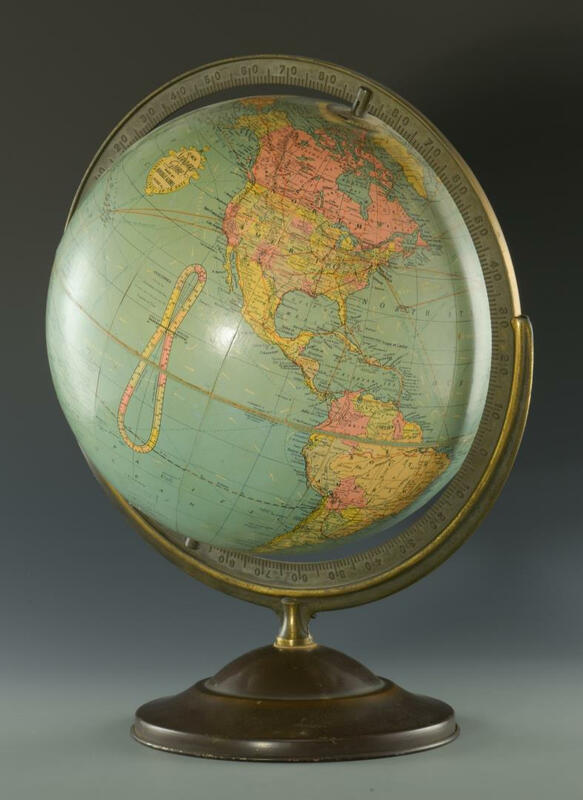 1st item: Replogle Globe Co., Chicago, IL 12" standard globe, "Clear-Accurate-Up-to-Date", coated paper over pasteboard with time dial at North Pole, full cast bronzed metal meridian on stepped round base, 17 1/2" H, circa 1940. 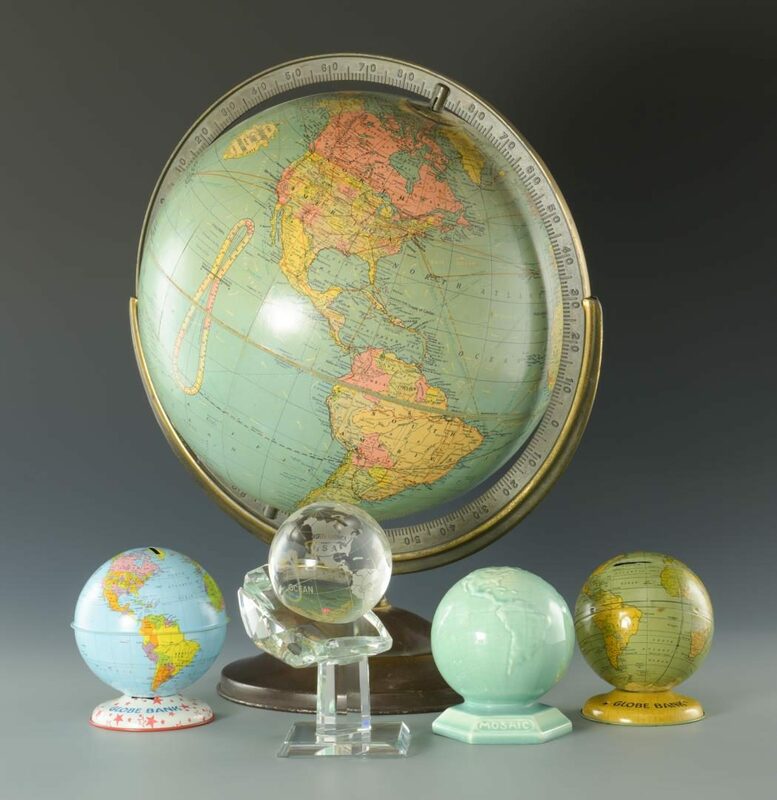 2nd-3rd items: Two Chein & Co., USA small metal lithograph globe banks, 5 1/4" and 5 3/4" H. 4th item: Mosaic Tile Co. globe, 4 1/8" H, mid 20th century. 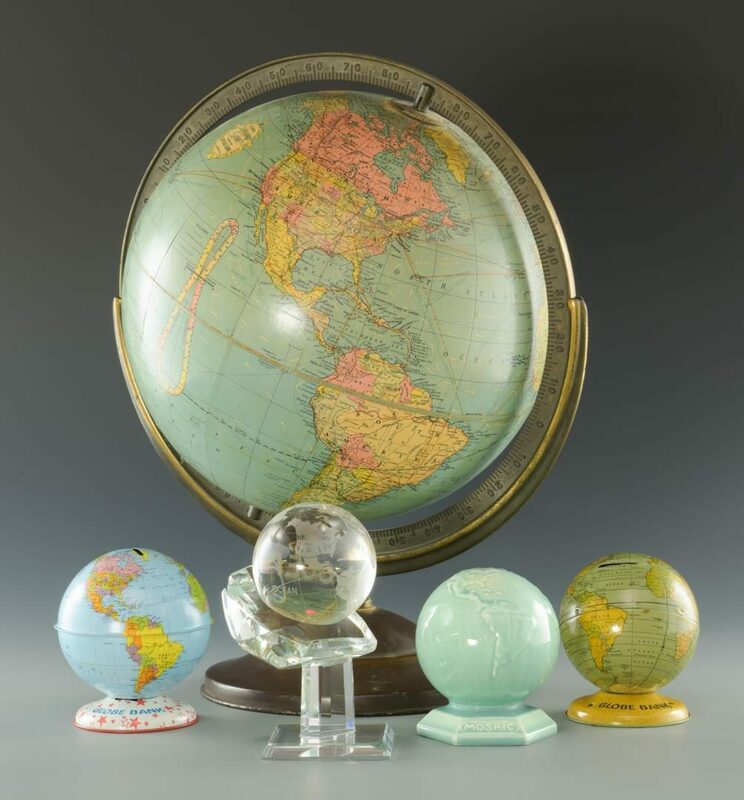 5th-6th items: Frosted crystal globe with clear crystal stand, 6" H together, 20th century. CONDITION: 1st item: Minor loss of paper along center seam and toning to paper. 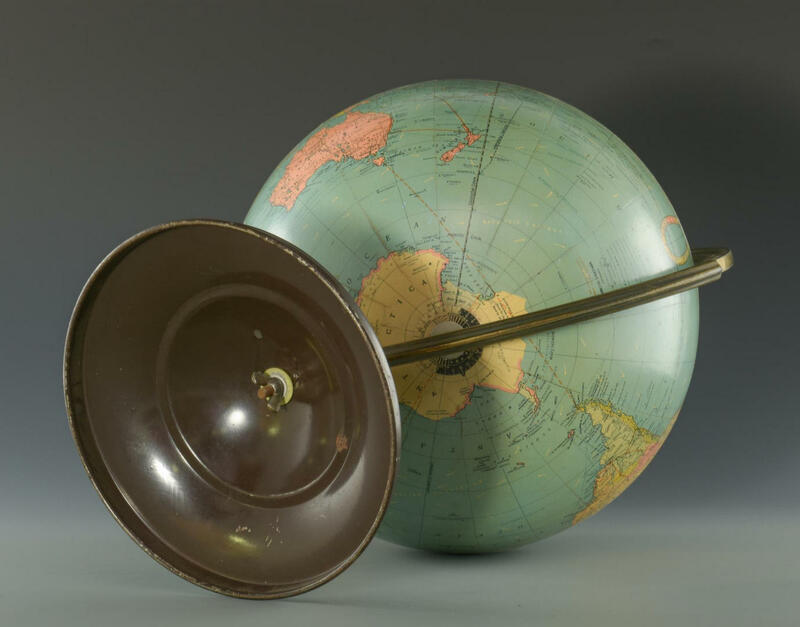 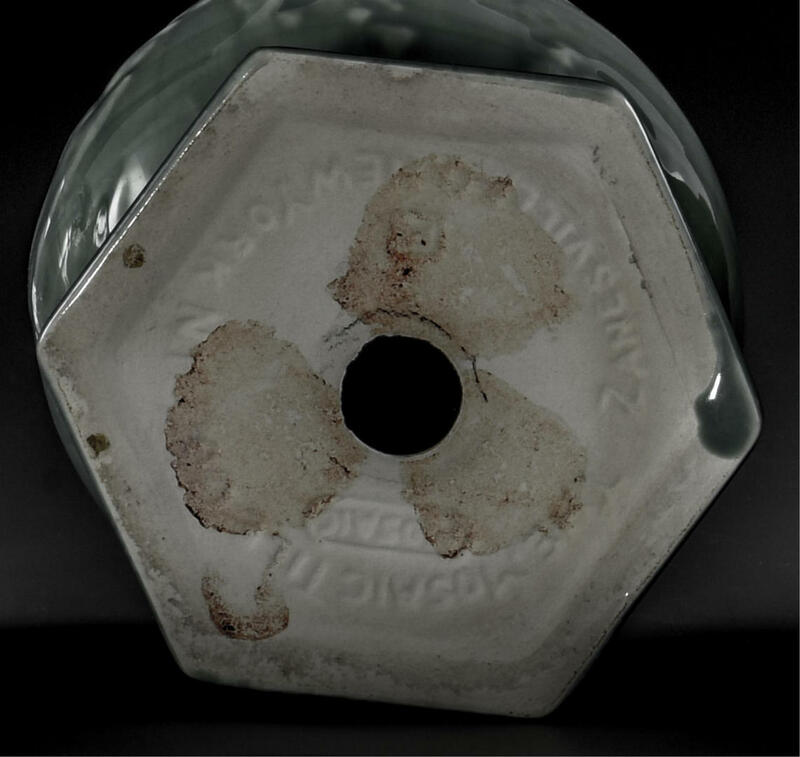 2nd item: Smaller Chein globe with wear and 1-1/2" L area of minor rust. 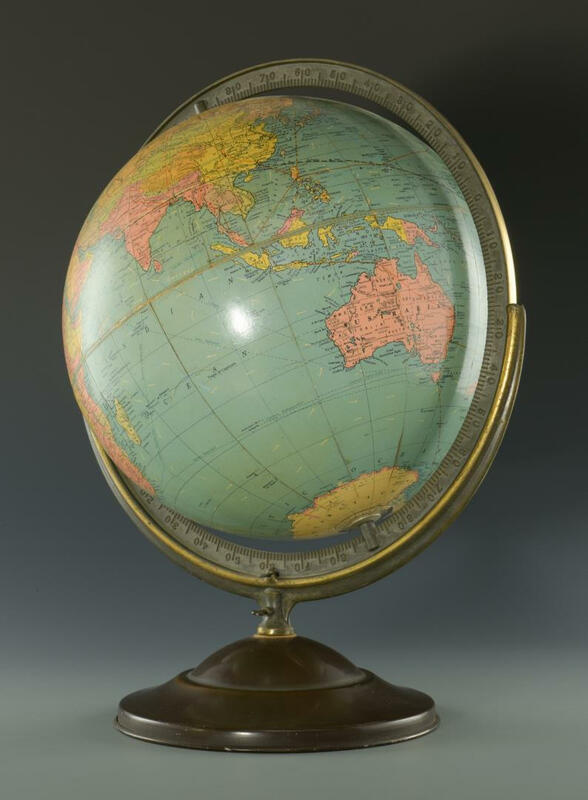 other globes in good condition with minor surface grime.